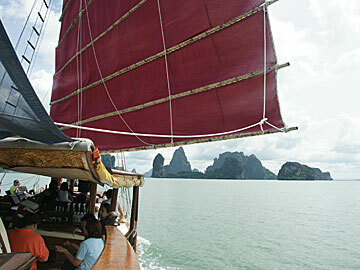 Cruise idyllic Phang Nga Bay in serenity and calm, away from the crowds. 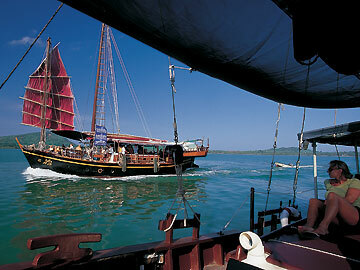 A unique and original experience onboard a traditional Chinese Junk. Lie back on your deck cushions with a gentle breeze blowing under the sun canopy and let the experienced crew take care of the sailing. 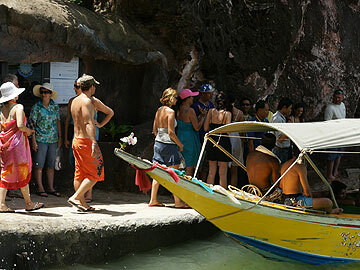 11.15 Visit James Bond Island - location for the Bond film "The Man with the Golden Gun" and take a local longtail boat to the Sea Gypsy Village. 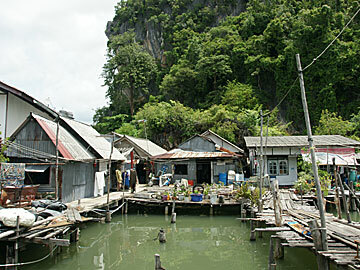 Home to the Chao Lay or "sea people" this unique village is built entirely over the water. 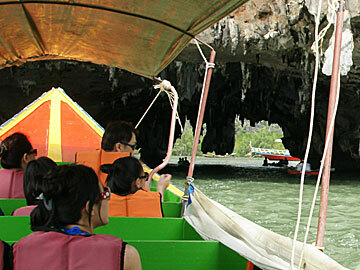 Explore the fascinating mangrove delta and the Grotto Cave. 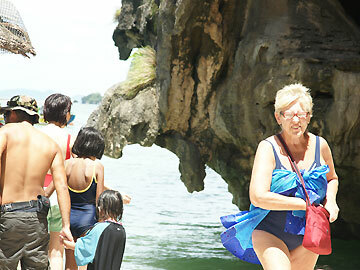 15.00 Cruise through Phang Nga Bay, stopping for swimming (weather permitting) before returning at a leisurely pace to Phuket Island. 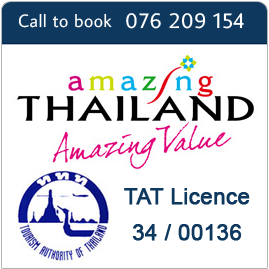 - Free of charge: Infant age is under 3 years old and Height is not taller 100 cms. The itinerary and timing above are approximate and may be modified without notice to fit the tide and local weather conditions. 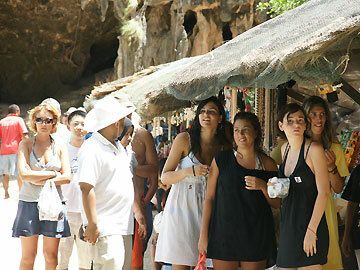 If the above tour dose not meet your requirement and you wish to customize your own tour, please feel free to contact us and tell us your preference.